Linea SHELVING Balboni aluminium shelving is ideal for cold storage of food at both positive and negative temperatures. 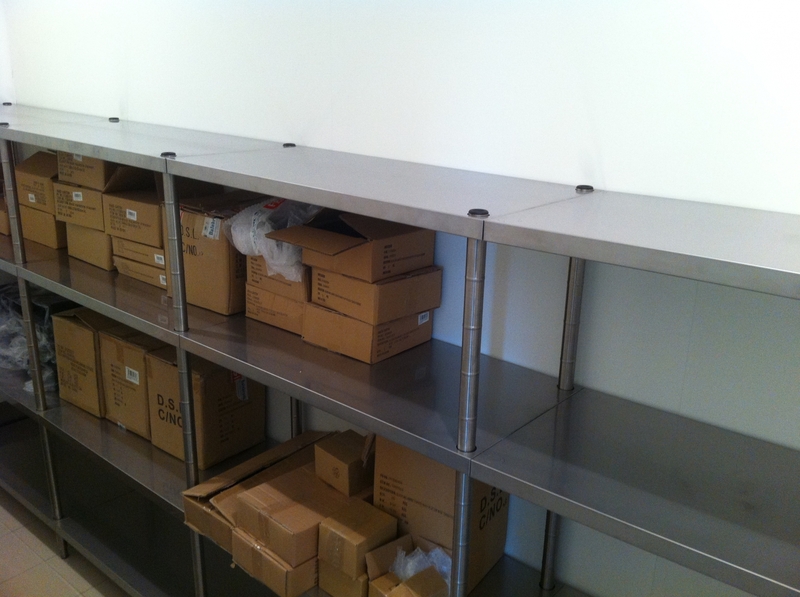 ​These quick and easy-to-assemble shelves offer strength, health and safety-compliance, and a versatile, modular approach. A wide range of applications allows users to optimise the space available in every room. Balboni aluminium shelving is ideal for cold storage of food at both positive and negative temperatures. ​These quick and easy-to-assemble shelves offer strength, health and safety-compliance, and a versatile, modular approach. A wide range of applications allows users to optimise the space available in every room. These features, combined with the fact that absolutely no screws or bolts are used, guarantee the levels of hygiene and cleanliness required by European standards HACCP. ​The joint system used in the aluminium shelving allows quick and easy assembly, without any special equipment required. The structure is stabilised automatically according to the load, which means no stabilising cross rods are needed. Special hooking systems allow the creation of corners without using additional uprights.